As of February 1, 2019, the rate for our Signature Relaxing Massage has increased from $50 to $60. The service otherwise remains the same as it was, lasting at least 75 minutes, and often a little more, making it an exceptional value. Additionally, we have been able to bring the rate for our unique Hypno-Massage down from $125 to $100, providing an excellent opportunity to experience it for yourself. We look forward to seeing you! 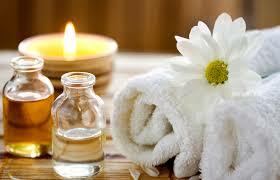 Massage has been used for thousands of years in holistic medicine for health and well being. It has been proven effective in stress relief, fibromyalgia, insomnia, pain management, and many other problem areas. Our private office and professional staff provide in office sessions. We also offer out call and corporate massage. Denton Massage has been serving Denton and the local communities for over 17 years. Our therapists are highly trained, professional, and attuned to your individual needs as a client.